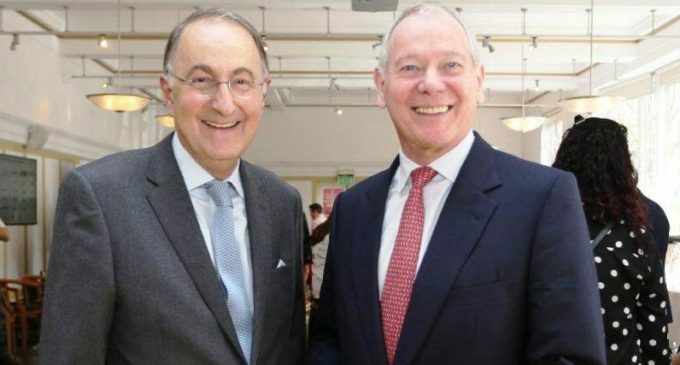 Hospitality industry charity Springboard has announced Alastair Storey as chairman, taking over from Stephen Moss CBE, Springboard’s founder and chair for the past 29 years. Alastair (pictured above right), added: ‘Springboard provides invaluable support to our industry, attracting new talent and showcasing the endless opportunities a career in hospitality and tourism can provide. 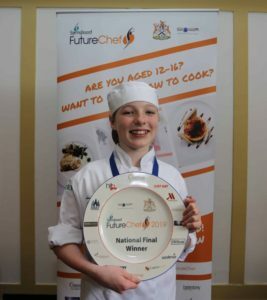 Meanwhile, Springboard’s FutureChef programme celebrated its first ever Scottish winner yesterday, when 14-year-old Jessica Mitchell won the 2019 national final. Jessica (pictured right), beat eleven other contestants and impressed the judges with her main course of chicken breast with butternut squash, confit chicken leg and fondant potato, and an apple and frangipane tart with a vanilla pod parfait and caramelised apple for dessert.